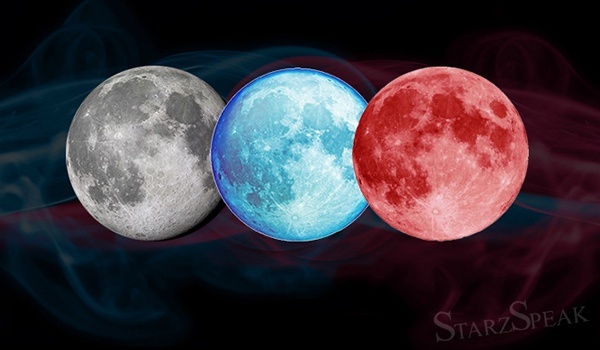 On January 31st, there will be an an astronomical trifecta; there's a total lunar eclipse and the moon will be entirely inside the Earth’s dark umbral shadow, secondly this is falling on the second full moon of the month and thirdly as the moon reaches its closest orbital point to Earth, the eclipse comes just 27 hours after that. So it’s not just a total lunar eclipse, or a Blue Moon, or a super moon. It’s an astronomical trifecta (all three, a super Blue Moon total eclipse). Taurus – This Lunar Eclipse will bring lot of changes in your life especially your domestic life and you will feel a need to make some decisions in your life like balancing of work – life, choosing your friends and relatives for support. Leo- This eclipse is pushing you into the spotlight and you might become the center of attention. But don't be surprised if you're feeling a bit more sensitive, just be confident. Scorpio – This Lunar Eclipse will bring lot of positive changes in your career and your career will reach new heights. All your hard work and patience will be rewarded. Aquarius- This eclipse brings a huge change in relationships and it will test your love life heavily. Either your relationship will become official or it will end.